Dr. Dinesh Pendharkar holds the rank of Programme Director Medical Oncology and Visiting Professor RD Gardi Medical College, Ujjain. 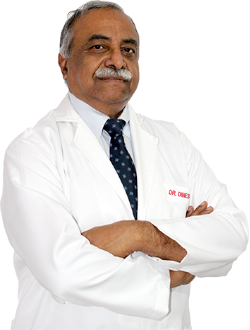 He is the President of Indian Society of Oncology and the former Chair for International Affairs Committee of the American Society of Clinical Oncology. In past, he had been president of the Indian Society of Medical and Pediatric Oncology, Jt. Secretary Indian Society of Oncology, Associate Editor Indian journal of Medial and Pediatric Oncology.